Say goodbye to leaks and blowouts. Our cutting-edge core contains a specially designed absorbent material that can absorb over 50x its weight in fluid. Plus, the inner and outer layers are super soft with a snug fit for supreme comfort. Our specially designed core with spherical absorbers allow us to reduce waste (less material) while maintaining performance (more absorbency). This technology promotes dryness, locking wetness away in bubbles of leakage protection. Our eco-friendly and hypoallergenic diapers are made with sustainably harvested fluff pulp. I only have good things to say, It's what you want in a diaper! Cute, safe for you baby and keeps them dry. The only thing I would change, which isn't even a big deal in my opinion is that it doesn't have a wet marker anywhere. 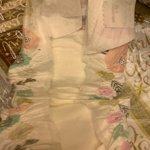 The sizing is great, my son is really active, plus he has physcial therapy, and these diapers held up in all conditions. I have even been using them as overnights and i have had no issues! I did receive this product from WeeSpring to consider for my HONEST review, however that has no skewed my view on these great diapers. Hi! Im a mother of a 1 year old boy who's in a size 6. 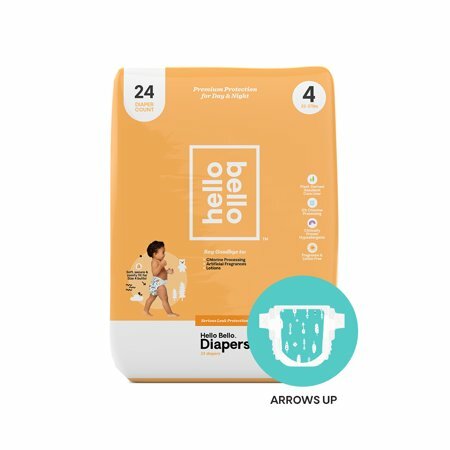 I normally do not leave reviews for diapers but these were a must. 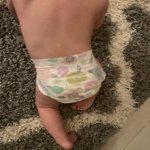 These diapers are seriously so amazing!! They hold in so much urine compared to any other diaper ive tried which is every kind lol. They are so soft to the touch and the designs are so cute!! Like what more could you ask for ?!?! YOU HAVE TO HAVE TO TRY THESE YOU WILL NOT REGRET IT!!!!!!! Yâall have got to try hello bello! I used it on my baby bc she had a rash and you canât put diaper rash cream on a cloth diaper baby. I went to Walmart to try to find a natural diaper like seventh generation or something and I could find anything. When I was about to give up and leave I saw this brand on an end cap. I noticed that they cost the same as huggies and I was shocked! Itâs all natural plant based and they feel like cloth diapers but theyâre disposable. The cream was amazing and her rash was gone in 1 day! My daughter has not peed out of any diaper shes used except cloth diapers. I decided to give these a shot since shes prone to rashes. Well shes peed out the front of ever diaper shes used of these. The back side was completely untouched of pee and shes had near blowouts on more than one occasion. I bought these YESTERDAY! I donât recommend these diapers.